Bobby Bowden is the former head college football coach of the Florida State University Seminoles. Sunday mornings will usually find him at the pulpit of a church. His personality and charm are bigger than life and he has become somewhat of a folk hero. He is a devout Christian and on most Sunday mornings you will usually find him speaking at the pulpit of a church somewhere in the south. An engaging motivational speaker, Bowden is constantly in demand and most of his free evenings will find him on the speaking circuit. Christian Speakers 360 is a booking agent for Christian athletes and celebrities. 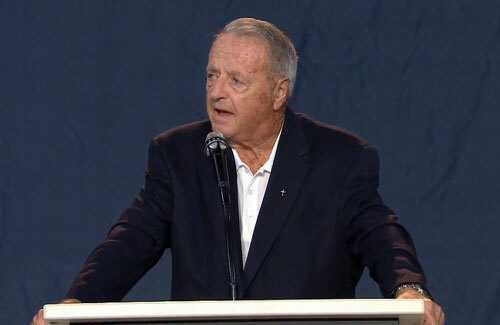 If you would like to book Bobby Bowden for an appearance, contact a Bobby Bowden booking agent for speaker fees at 1.800.966.1380. Amy Grant on "Fox and Friends"